Start your morning off with a cup of coffee out of your very own Alzheimer's Awareness mug. You can start each day with a reminder of how important it is to find a cure for this debilitating and devastating disease. 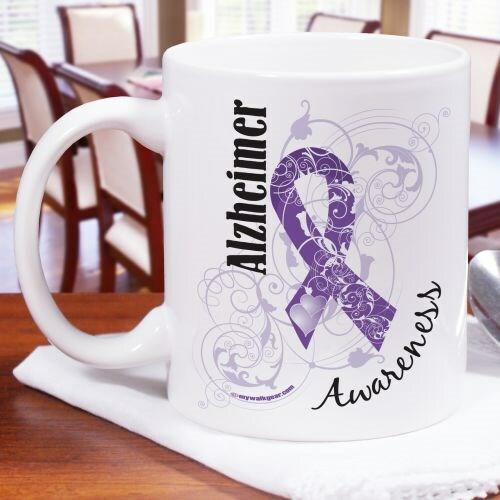 Our Alzheimer's Awareness Coffee Mug is dishwasher safe and holds up to 11 oz. This mug would make a fantastic gift for anyone who is passionate about Alzheimer's Awareness. It's important to spread the word about this disease and do everything we can to help in the fight for a cure. This mug is one of many Alzheimer's Awareness items we have here on MyWalkGear.com.